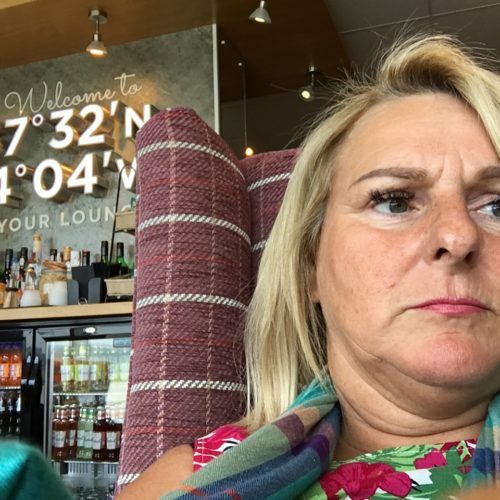 "the staff can't be bothered"
Not Verified | A nice small airport that can be very congested in Departures, fine when it is quiet, a nice cafe in main hall, overlooking the runway, with comfy chairs, and a few nice shops to browse. Worst point - the staff, unhelpful and mean spirited. I had to wait 40 minutes to make a free ticket change with Logan Air because the young lad, on the desk could not sort it out and was very lacking in his customer care and communication. While I was waiting a lovely man arrived late for his flybe Birmingham flight, he had left his bag with documents at home and had to return for them, the Birmingham flight was delayed over 30 mins, a member of staff tried to help by phoning through to departures but flybe / staff refused to help, there was no one on the flybe check in desk, he was told to get a later Manchester flight and travel on to Birmingham. After all this, I got my ticket change, went straight through security as not busy and was gutted to see the Birmingham flight only just being called for boarding, poor man, they could so easily have let him through, it was not at all busy and staff were just standing chatting at the boarding gate, very mean and causes so much inconvenience and extra expense to someone because the staff can't be bothered to help. The beauty of a smaller airport should be more personal care and help, sadly not so at Inverness. 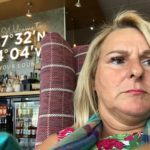 "security staff are extremely rude"
Not Verified | I have travelled through many airports in my life. But never have I been left feeling so penalised, disrespected as I did travelling through Inverness airport. The security staff are extremely rude, they treat you like you're an inconvenience to them. 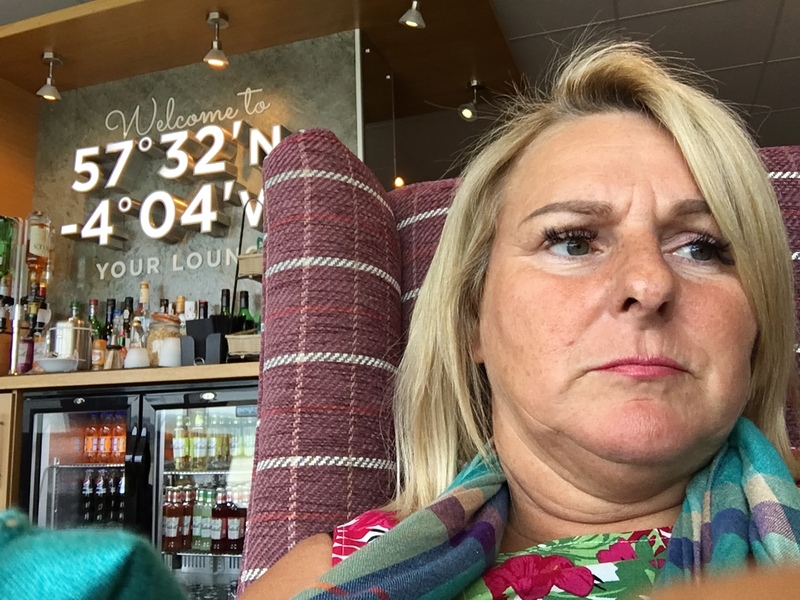 Even after getting past the security part we had to then endure an incredibly rude woman who bullied us about our hand luggage before we got on the plane, I do hope that the inverness management review how they treat their customers. "attitude of staff should be addressed"
✅ Trip Verified | Very disappointed with the security at Inverness, in fact it soured what was a wonderful trip to the Highlands and Isle of Lewis. We only had carry on luggage and had no trouble flying out of Amsterdam to Inverness but the return was not as good. I had culled my cosmetics before I went and was complimented in Amsterdam on what I had done as they were all well under 100mls. When going thru Inverness was told I should have in clear plastic bag even though my cosmetics bag was see through. When I put in 2 bags was told it all had to go in one bag. When I queried this a supervisor came over and told me I had to comply and throw things out. I did but then I saw I was selected for a full body scan and search and actually saw them talk about me. A women sent me back a couple of times and exaggerated her search. I am a 72 year old. I understand rules are rules but the attitude was what I h ad a problem with. If they thought they could embarass me they did not and really only demonstrated their petty ignorance. The bad attitude of staff should be addressed. 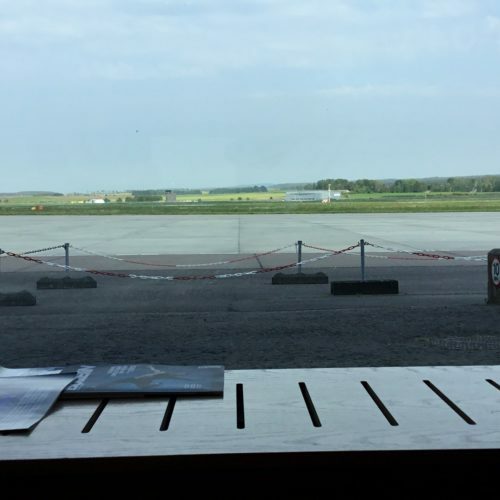 ✅ Trip Verified | Unscheduled visit to this fantastic little airport. Staff member on the front desk helped me with my bags right through to departures (I have broken my wrist), can’t thank her enough for great customer service. Then through to feel spoiled in the aspires lounge by the host with the most. Brilliant service, I shall definately return to this super place again. ✅ Trip Verified | It's always a pleasure to be able to fly into my home City airport of Dalcross. However, on three separate occasions this month my views have changed some what. No suitable infrastructure for the increase in passenger volumes. On two occasions only one security x-ray machine working as the other had broken down (for departing BA, KLM, BE flights) resulting in 45 minute queues with no management of the situation whatsoever. Chaos at check in as they could not cope with the volume of bags being checked in resulting in that breaking down. On arrival into Dalcross on the way home for a visit, bags put on wrong carousel (there are only two in the airport). It's a shame, could be such a nice airport however extemely poor management with no advise or announcements given on any of these occasions, with no taking charge of the situation. Come on HIAL, get your act together! "Queues for security extremely long"
❌ Not Verified | Departed Inverness airport on May 7th. Queues for security were extremely long because only one scanner was working. We joined the queue at about 11.50am for a scheduled boarding of 12.05pm but were still waiting in the queue at 12.15pm. Airport staff asked if there were any passengers for Heathrow but didn't do anything to hasten our transit through the security. It was pouring with rain but no covered walkway to the aircraft. I asked why only one scanner was working and was told it was being worked on as we speak. Despite the fact that I had already intimated that our flight was due to depart security insisted on testing my carry on liquids. Unfortunately when you live in the Highlands your choice of airport is limited. "airport never fails to disappoint"
❎ Not Verified | I make regular trips to Scotland every year to visit family. Inverness airport never fails to disappoint with the rudeness of security staff who seem incapable of managing anything with anything less than contempt, never failing to give an impression that you are interrupting their day with your visit. In turn the departure lounge is unfit for purpose. Much of the space is taken up with shops and the seating is squashed together akin to herding sheep. My final comment goes to the ground staff who when boarding commences seem to think they are loading cattle, with an attitude to match. I look forward to my next visit! "Inverness wins hands down for me"
✅ Verified Review | Right folk, it's not Heathrow, or Gatwick, its Inverness, a wee airport with just what you need to get the job done. I've flown a dozen times this year from Inverness to Gatwick and back and have never had any cause for complaint. Park in the short stay and walk 2 minutes to the terminal, straight through security and onto a plane. On the way back its off the plane into the terminal, pick up your bag if you have one, out of the door into the car park and away. On average I would say from the wheels touching the tarmac to me getting on the road is about 10 minutes. So those who have commented that they have to walk 'outside' to get from the plane to the airport - really, you only walk in tunnels? Come on... I'd swap Inverness for the torture of Gatwick and Heathrow's endless maze of tunnels and walkways and lifts and elevators any day. Just so you know once you leave the terminal you will have to walk 'outside' so pack appropriate clothing! Last trip I managed to loose my car park ticket so walked to the desk and the lady kindly printed me a new one, free of charge - a bit nicer than the 'issues' you get at Gatwick followed by a bus ride - with no assistance for those of you with pushchairs and kids. Those who have commented on the lack of shops - Seriously? Keep it small, if you need a new pair of new jeans then go somewhere else. Is there anything more frustrating than leaving security at Gatwick and being forced (only one route) through the meandering path of fragrances and booze on offer with people stopping in front of you without warning and then dragging their case over your feet. So all in all Inverness wins hands down for me - small, friendly, very helpful and spotlessly clean - compact would be a nice word to use. "disgusted at the security staff"
✅ Verified Review | I never write reviews, but I fly on a regular basis into and from Inverness airport, and I am disgusted at the security staff that work there, one lady seems to always stand at the point of picking up the trays before you scan your items. She is probably the most rude and obnoxious staff member I have come into contact with. It seems they are bored, and pettiness is what gets them through the working day. Restaurant/food options once through security are terrible and easyJet flights have not left on time for the past time flights I have taken from Inverness. I hope Inverness Airport management read these reviews and act on the feedback they have been given. "No chance of arriving on time"
❎ Unverified | Airport closes. No chance of arriving on time for our 7am flight as the first bus only gets here at 7am! Got rudely kicked out when we tried to wait here through the night for our flight. Because in 2017 airports apparently close. Luckily we were coming back from a camping trip, so we were allowed to put up our tent in front (literally 20meters away) of the airport. Service was trying to be helpful and offered us to spend the night in a nearby tesco. Appreciate the business cooperation they have with Tesco though!